iOS 10 vs Android Nougat: Which is the Real King? (Updated on April 1, 2017) Deciding which phone to go for, is based on specs, design and Operating System, the latter being no less important than the former. A poor User Interface (UI), filled with bloatware and little to no innovative features can ruin your phone experience, thus forcing you to buy a new phone no matter how amazing your phone specs are! The OS of your phone is therefore quite an important determinant on your phone's performance. iOS vs Android; this war has been going on for quite a long time. Here I put an end to iOS 10 vs Nougat debate. 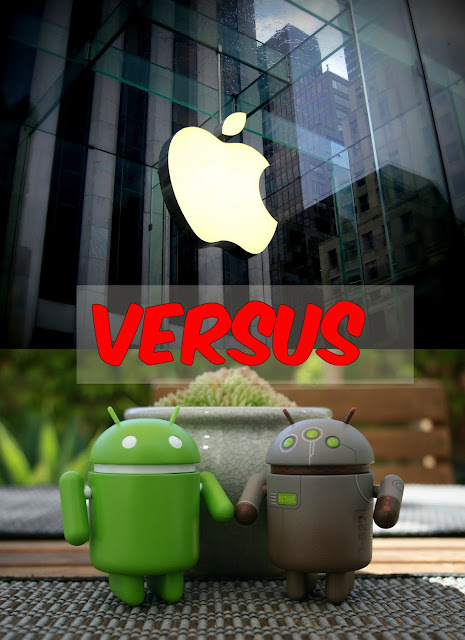 I going to show you all the strengths, weaknesses of both these OS, analyzing them in several fields in extreme depth, so that you can have no doubts over the winner and/or which one is best for you. Android 7 that is the Nougat is Google’s latest Android version. Android Nougat is out for quite some months now. Google has also sent out several updates like the Nougat 7.1.2 for its Pixel phones. However big companies like Samsung, LG and Sony has already started rolling out its own optimized Nougat versions, examples of which include the LG V20, Sony Xperia XZ, and the LG G6. Obviously, it will take some time for Nougat to seep into the Android phones but it's presence is already increasing in the Android phone market at a steady rate and occupies as of March 25th, 2017, more than 3% of the Android phones. On the other hand Apple has released iOS 10 for it’s iPhone 7, straight out of the box but has rolled out updates periodically and methodically to its older versions as well. While it has been released on September 13, 2016, it is already installed on a whopping 79% of all iOS devices as of February 2017.
iOS, too has received several regular updates, the latest being 10.3 which brought some about some bug fixes and security improvement, but more important is the 10.2 update; more on that later. In the beginning Android and Nougat were so different but now if you inspect them, you will find several similar designs and features in both. Both the OS have copied and slightly tweaked each other's features and have become quite similar. But obviously, there are a huge lot of differences and different areas where these OS best each other. Let's start with ummm.. This is a new feature brought about by Google in its Nougat update, but if you are a Samsung User you may know that this feature has been present in its S series since the time of stone age (actually since Galaxy S2)! 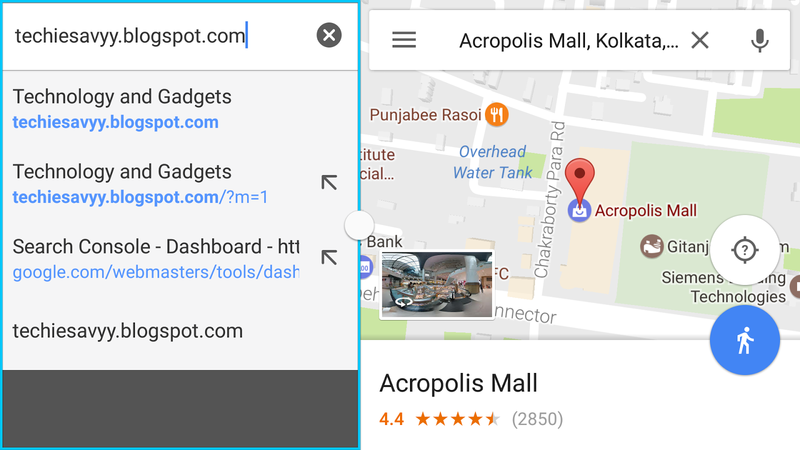 Better late than never, Google has been thoughtful about the numerous benefits that users are bestowed with by this feature. But the odd thing is that iOS 10 does not offer this feature completely. While phones and tablets nowadays are getting larger and larger displays accompanied with better memory(RAM) and processor, this feature is not just important. It is necessary. To use this feature, all you have to do is enable Multi-Window from the settings menu. Then click on the recent tab, followed by selecting the app you prefer. 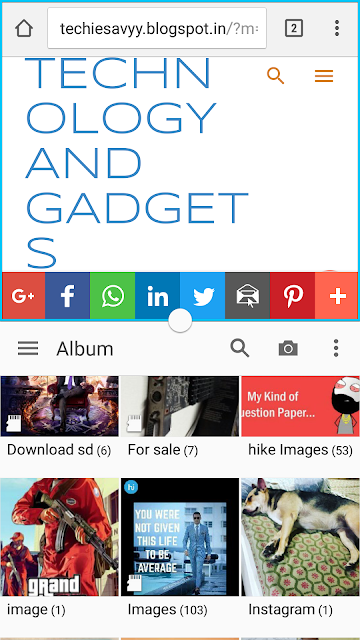 Your Android phone/tablet display will be partitioned into two portions, with each app occupying half the screen; but you just drag and change the size occupied by each app easily. You can drag and drop data like images from one app to another. This feature works in all Google Apps and a handful of other third party apps. This is particularly helpful for me as I use several messaging apps like Whatsapp and Hike. Plus at times I have to open Web-browsers while simultaneously copying some text to some messenger app. iPhones are The Best when it comes to performance but all this power seems wasted, if not use it for dual usage of apps. Still, it is not correct to say that iOS does not support multi-window at all. iOS 9 and later does let you perform split-view multitasking in Ipad devices and split-view Safari pages on devices with iOS 10, iPhones excluded. Let's now step into another integral part of the User Interface Analysis that is the Notifications. Previously Android was clustered with several widgets which caused anguish to the users but then now it is no more. Android has become much more easier to use and quite user-friendly. Android Nougat has redesigned its notifications. Checking out the daily notifications can be done with much more ease, as they have very little borders plus little fonts, and can be bundled with with each other depending on the app - a feature that is quite common in iOS. The Android Notifications now occupy a greater portion of your phone screen and provide a greater amount of information as default. The Notification menu can be used to access your favorite settings menu which is now customisable. In Android Marshmallow there was a feature called Quick Reply, where you could reply back in certain messaging apps without having to open the app. This feature has been expanded upon in the Nougat, bringing to you a wider array of messaging apps with Quick Reply. iOS however had and has Interactive Notifications, which is quite similar for a while now. iOS 10 is also taking directions from the Android designs. While it has brought widgets to the home and lock screen, it is used and shown differently. The lock screen has been redesigned and you can use widgets just by swiping left on the lock screen, which is a new feature. Several apps already come with widget versions and just a handful remain without widget support. With 3D Touch, now when an app icon is pressed, widgets shall pop up—such as the temperature when the weather app is pressed. So you can check for information and do things faster without actually opening the apps using the Widgets. 3D touch usability is even extended to the control center, so you can increase the phone torch brightness or even put an alarm with it! iOS 10 also has brought a feature called "Raise to Wake". 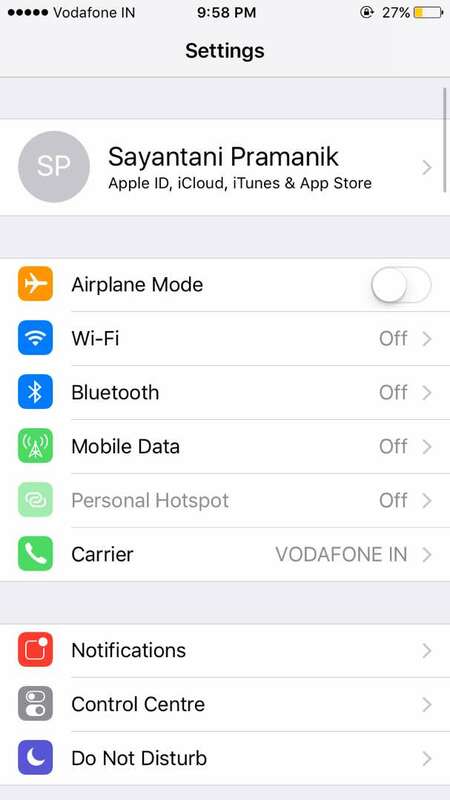 iPhones launched since September 2015 support this feature which means you do not have to press any button to wake up your phone. When the feature is kept enabled, picking up your phone will automatically wake it up. This will however require you to press on the home button so that the Touch ID can read your fingerprint. The second gen Touch ID has quite an impressive speed such that it unlocks the phone just as you pick it up! However if your iPhone does not have a M9 motion coprocessor, you still have to press a button which in essence renders this feature useless. But any how, the best thing about this feature is that it helps stop you from mistakenly removing the notifications by pressing the home button. iOS 10 has at last added "clear all" feature and now you can clear all notifications with one press of a button in iOS too! iOS 10 has improved it’s customisability quite appreciably compared to its predecessors, though still not as much as Android. An irritating thing that I encountered in the iOS 10, was that it forces you to keep all your apps on the Home Screen. You can organize them into folders, but it is necessary to keep all the App tiles in your home screen. 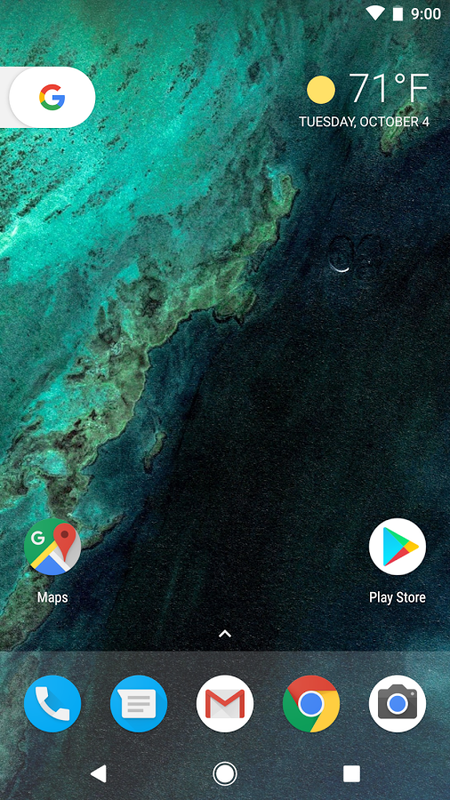 In Stock Android and most reputed Android versions like Samsung Experience, Oxygen OS etc, apps are kept in an app drawer and you can drop shortcuts to any and every app you choose on the Home Screen, or keep the home screen clean and and stocked only with useful apps. For navigation, iOS uses the home button, which is a capacitive button to return to the home screen (main back button). Now, when it comes to Android, due to the vast number of Android phone manufacturers, the option as to whether your phone will be packed with a capacitive or soft back button depends on the phone manufacturer. For example, Samsung uses capacitive buttons as back and home button, and even to bring out the recent tabs. But Sony uses soft keys for these functions. In iOS, there is sometimes a back button available or you need to swipe to return to the previous screen. There is also a "back to previous app" link at the top left portion of your screen so that you can easily return to your previous app, similar to the "recent tab" in Android. In terms of customisability, iOS 10 has improved, but Android offers you much more and much better customisation options. For example, in Nougat, when you pull down from the top of the screen, you will be shown five shortcut icons at the top. In case of stock Android when you pull down again or in case of Samsung when you pull down with both fingers you will find a shortcut/feature drawer and an "Edit" button. From that drawer you can drag and place the icons just where you want, in the main shortcut area. Features like these are important for ease of access. iOS however does not have any nifty feature like this. 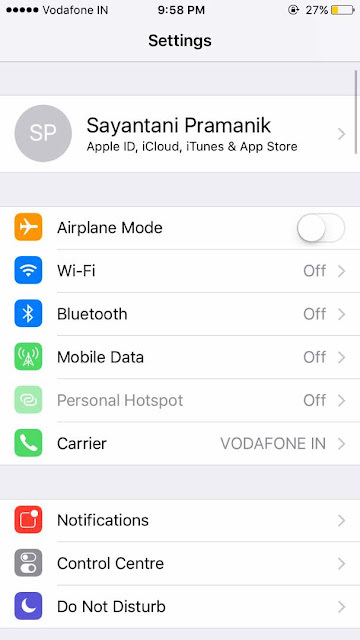 Also, iOS does not show the connection networks that your phone is on, unless you launch the settings tab and go into the respective connection options like Bluetooth and Wifi. This actually depends on whether Apple or the Android manufacturer of your agrees. Android Kitkat was the first Android which had a "disable" function where you could disable some stock apps. While this feature is on later versions of Android including the Nougat, it is actually both quite similar and dissimilar to uninstalling stock apps! The similarity is that once disabled, these apps will have no chance to run in the background. They will not store cache or have any drainage in your phone memory. The dissimilarity is that the apps will occupy your phone's storage space. Since there are such a huge variety of Android developers, you can choose between several phone or tablet manufacturer for a brand with low or no bloatware. Worth mentioning here is the Cyanogen Mod; a UI that lets you delete (quite a number of) stock apps as per your wish! 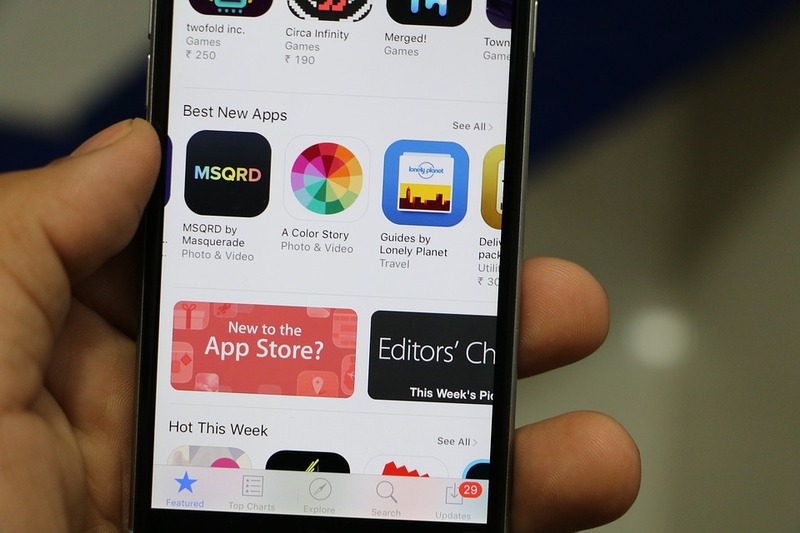 Apple has introduced a new feature in its which lets you delete stock apps. But there is a catch. There are some apps which are deeply integrated into the software and can not be removed. So when you delete them, actually they will be hidden from the home screen and not deleted. According to Apple, the combined storage used up by its stock apps is not more than 150 MB so actually there is not any need to delete stock apps. So in here, both iOS and Android seems to be at par with each other. iOS 10 and Google - both have put in astonishing improvements in their messaging apps. Emoji sent by themselves are 3x bigger, and iMessage can also suggest emoji which you can use as a substitute for corresponding texts that you type. If you are an Emoji fan then this feature is for you. Simply after writing your message, tap the Emoji button and you will find all the words which iMessage suggests to be replaced by emoji. iOS 10 also supports visual link sharing in its Messages and iMessage. Typing in the URL will automatically show you a visual preview with a headline and image pulled from the website. Also, links of YouTube videos or tracks from Apple Music can be played inside the Message App. With the iOS 10, you can now send hand-written messages too. Moreover, you can implement some third-party apps into the iMessage. This will enable you to share stuff with some other person, without having to open the app. You can also order food or send payment using it! Google does not offer third-party app integration with Allo. iOS has also added multilingual support in QuickType in the iOS 10. As for Android, Google has also offered tremendous improvements in its messaging app. Google's own messaging app Allo, offers stiff competition to iOS 10's messaging app. The amazing thing about Allo is that you can use Google's power in just a messaging app! With Allo, you can book restaurants, make Google searches and a lot more. Seriously, a lot more. The app's AI will improve, the more you use it and will be able to even suggest replies on the messages and photos that have been sent to you. You can also customise emoji sizes and scroll over images before sending in Allo. Both the apps allow group chats and the ability to share your location! In iMessage, you can disable read receipts, which is not possible for Google's Allo. However the features of iMessage work only when both the people are using iOS 10, while Allo doesn't have any such requirement. On the other hand, you can use iMessage to send regular SMS text messages, but Allo does not support this feature. Conversations in iMessage are secured with end-to-end encryption by default. Allo also has the option for end-to-end encryption but to enable the function you need to chat in Incognito mode or else according to Google it will store your chats "in order to improve the app." 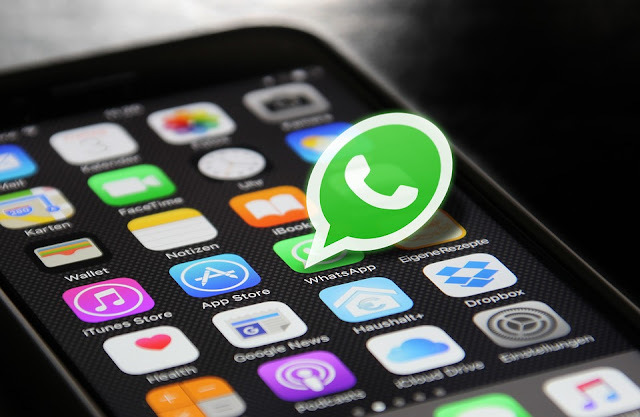 However your messages will still be safe, as the chats will be scrambled throughout its journey from you to the recipient through Google servers. For me, I kind of find Allo, the winner here. While it does not support normal SMS, and you have to use your normal messaging app; with the iOS, its features will all be redundant unless the circle you keep in touch with, have iOS 10. But this is a decision that is based on personal needs so the winner here depends on your needs and circles. One of the most important aspects of a phone or a tab, is its battery capacity. And for their respective software, it is the power management. iOS 10 has not got any improvement in this regard but Nougat has a new and improved Doze mode. The Doze mode was introduced in Android Marshmallow. When the display was off, and the phone was stationary, the power usage would drop drastically. Keep in mind, Doze mode needed your phone to be kept still. Anyhow, in Nougat, Doze works even when you are moving. There is also a two-tier form of Doze. When you stop using your phone for some time, it will stop(pause) network accesses for some extended periods of time and performs any function requiring internet access at those times. In the second tier of Doze, which your phone goes into after sitting (or moving!) idle for extended periods of time, these network accesses get spaced out even more. Also, your phone stops scanning for WiFi signals and the GPS too, resulting in massive power saving. However if you have set your phone up for some work that requires network access, you can always switch off or optimize Doze according to your requirements. Android Nougat clearly bests iOS 10 in this regard. And Oh! it does not take more than a sec for Nougat to rev back up from its Doze! Updates are quite important as they contain security and bug fixes or even patches for performance improvement. As there are numerous Android phone manufacturers, each release their own Android optimized software, such as Sense UI, TouchWiz. So it is actually more on the respective phone manufacturers than on Google to release timely updates. Google on its part releases timely updates for Android Nougat phones, with its Pixel leading all other Android devices in terms of fastest updates. Apple on the other hand offers timely updates for all iOS devices. However this is where iOS beats Android as iOS 10 is compatible in quite old Apple devices too, while Android Nougat is not. This is quite evident considering the percentage of Nougat users among Android and the percentage of iOS 10 users among iOS users. 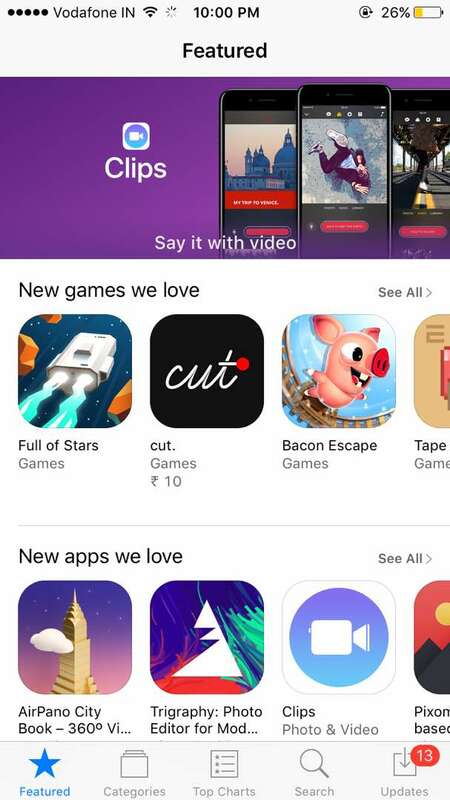 Previously all the best apps used to be released in the Apple store first and then came to Google Play Store. But now the scenario has changed a lot. Several feature apps also come out in the Google Play store first and several also come out in the Apple App store first. So none has an advantage in this field. However the Google Play Store tend to offer much more free apps than the Apple app store, while Apple's store is much more harsher on spam and bogus apps. While, I am not much of a user of these stock apps, most of the Android and iOS people I meet, are. For those who don't know what I am talking about, I am talking about Google Photos and Apple Photos. Apple has as usual improved a lot on its Apple photos (and made it more Android like😆). It can now group faces together automatically and also compose slideshows from related shots. These features were and are all in Google Photos. Apple Photos can do all its functions discretely in your device whereas Google Photos require a net connection. However, Nougat bests iOS 10,s Photo App with a better and more powerful AI for these tasks. Google's searches in its photos and its reorganisation of your shots are much better than that of Apple's. Apple Photos is not available for Android and has minimal support for Windows. As for Google Photos of Android Nougat, it is easier to use and supported by different OS's, and has a better web app compared to its iOS 10 counterpart. Google Photos also lets you backup an unlimited number of photos and videos. However images must be a maximum of 16 MP and videos of 1800p. Larger images or video resolutions will have to be stored in Google Drive which gives you 15 GB of free storage and additional storage starting at 100 GB for $1.99. Apple Photos offers no such storage. You can keep your photos and videos in your iPhone or in iCloud which offers 5 GB data for free, while you can buy more storage with prices starting at $0.99 for 50GB. iCloud storage tops out at 1TB, which costs $9.99. Google Drive however offers 30 TB storage at $299 per month. Considering Google Photos unlimited storage, it seems a clear winner in this round! Editing options- Both the apps of iOS 10 and Nougat have editing tools which are quite sufficient for normal and everyday use. In terms if comparison, iOS i.e., Apple Photos wins as it has more powerful editing options, more set of editing tools and can also be more enhanced with third-party extensions. As for features in the respective apps, Google's Collections wins against iOS 10's Memories. You can also create collages and animations, straight from Google Photos interface. One of the key improvements in iOS 10 is that of Siri. Siri has now been extended to third party apps letting it to link to those apps resulting in its usefulness to grow massively. You can use Siri with apps like Pinterest to find your saved pins. LinkedIn, Square Cash are some more examples of apps that Siri can be used with. You can also use Siri to book you a ride in Uber or Lyft just by voice instruction. You can also use it to send messages with third-party apps like WhatsApp or Skype, search YouTube on Apple TV, turn the radio station and turn on Car AC using CarPlay. 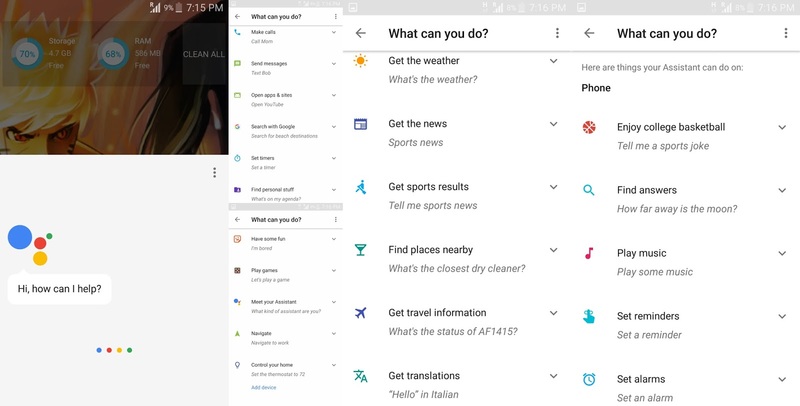 Google Now of android had been Siri’s biggest competitor but now with Google Assistant on Nougat (even on most Marshmallow devices), it seems Assistant wins the game. 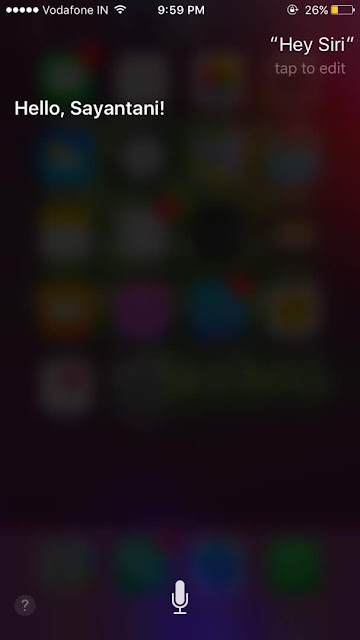 It can do all that Siri can do. Plus its AI gets better the more you use it. It stores the information you supply (for example your favourite football team) and provides you apt feedback to your queries. Both operate at same speed. While Siri brings in Bing searches to queries, Google Assistant uses Google (And we all know which of Google or Bing is better!😀). Also, Google Assistant has a better voice recognition. Apple has since long a very good reputation in providing optimum security for its users. However, Elcomsoft's Oleg Afonin had pointed out a weakness in the iOS 10's security. According to him, they discovered an alternative password verification mechanism that was added to iOS 10's backup which skipped several layers of security checks allowing them to try passwords 2500 times faster compared to the mechanism in iOS 9 and its predecessors. However, Apple being true to its fame in providing top-notch security, immediately corrected the flaw and added advanced privacy layer in the iOS 10 that uses techniques like subsampling, hashing and noise injection to provide optimum security. Privacy researcher Aaron Roth praised this technology, calling it "visionary". Google's Android Nougat is however just as secure as the iOS 10! Google's director of security Adrian Ludwig has stated that the Pixel, running in Nougat 7.1 is just as secure as iPhones. "Safety Net", which is a built in security software, in Android is capable of scanning over 6 billion apps and about 400 million devices everyday and as Ludwig pointed out 1 in a hundred Android phones are harmed by potentially unwanted apps. Actually the phone users are the weakest link in the security. So, since iOS has a lot more restrictions than Android, it can minimize the chances of human error. Security-wise this one is a draw. Both these OS have brought in several new features and remarkable improvements, taking in each other’s positives and working on their negatives. Both iOS 10 and Android Nougat have become quite like each other. However it seems that Android Nougat wins this bet with several new and improved features, a better Digital Assistant. 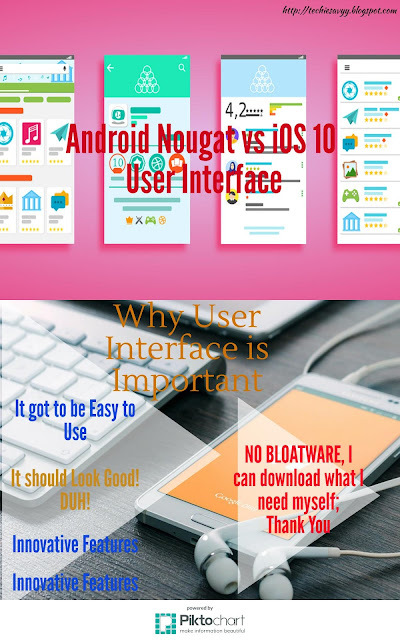 However if you are an user who prefers to use phones with simple and minimalistic customisability go ahead with the iOS, but if you are someone to whom the customisability and features of the operating system matters and don't want to be restricted in some closed environment like the iOS, go ahead with Nougat. Do share this post among your circle and show them who is King! What are the points you most agree or disagree with? Share your views in the comments! Exynos 8895 vs Apple A10 Fusion: Which is the better Processor? This year and in the previous one we came across two incredible flagship phones - the iPhone 7 and 7+ and the Samsung Galaxy S8 / S8 Plus. Both came with powerful chipset and today I will show you how they compare by putting them through various tests and find which is better. The best Laptops of 2017, for all your needs. Best Laptops 2017With the huge sales of smartphones, tablets and the Ipad, analysts expected the days of PC and laptops to be numbered. However, as we can see, that isn't true as buyers need more and more powerful devices each passing day. Be it design, that you care about, or just sheer performance, or maybe the OS (Windows/ iOS/ ChromeOS), here is a list of the Best Laptops 2017 has brought! Augmented Reality has been around for a very long time. But with every passing year, it has become more refined. Augmented Reality brings features of games and apps to the real world (in a sense!) and thus provides a magical experience by blurring the line between the virtual and real world! Well, not just that, it helps one by providing real time information regarding several stuff. Augmented Reality (AR) isn't that uncommon that you think it is; really. In fact you use it everyday!😉 If you still don't get it, it is the GPS App in your phone! As you can see, augmented reality apps are abundant and are very easy to locate both in Google Play and in the App Store. Some of these apps are free, while some others are not. While some of these apps have been made by top of the line developers, several amazing augmented reality apps have also been developed by small-timers. PS4 vs Xbox One: Which one is the Better Option?